Cakes in Mehsana are particularly known for their vivid variety and exceptional taste. Winni has made a special effort to make home delivery of cakes possible alongside keeping them fresh. Move your mouse cursor all over the official website and pick up from the range of cakes that suits you the best. You can conveniently send cakes online in Mehsana and spread happiness by surprising your loved ones on happy occasions. It is quite obvious for you to remain absent on special occasions of your loved ones. With more and more people migrating to different countries and cities, it becomes quite difficult to attend special ceremonies like birthdays, New Year, Christmas and anniversaries. However, by sending cake in Mehsana, you simply reflect that the occasion was remembered by you from the bottom of your heart. The small token of love sent to your sister, brother or any other person who hold an important place in your life makes a big difference. We provide exceptionally fast online cakes delivery in Mehasana through our well-maintained fleet of vans. Order the cake of your choice and we shall deliver it at any location in Mehsana with our personal home delivery service. Our online cake store has reasonably priced cakes that reflect the utmost creativity and price rationality. We use fresh ingredients having amazing fragrance and flavors. Decorations, we use include strawberry, pineapple, and chocolate that gives a distinct appearance and taste to the cakes we reproduce. So, why wait for more? Order cakes online in Mehsana on our website today and give your loved ones, a surprise that they never forget. Apart from tolerating time and transportation cost, one of the biggest drawbacks of purchasing cakes from a random bakery is the unavailability of cake designs. 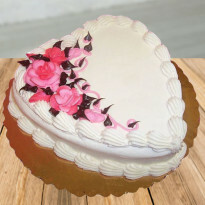 Offline bakeries don't provide the choice in cakes flavors, designs and types. Moreover, the creativity level is not at all impressive most of the time. However, in case you come across a theme based cake design that is readily available; the prices are certainly going to empty pocket. We at Winni, bring you a wide assortment of cakes in a variety of flavors and designs so that you can make your occasion absolutely perfect. When it comes to making an occasion special, cakes do the needful very well. We can provide you with the fresh cakes that are super soft and flooded with high-quality icing. Surprise your near and dear ones with unusual gifts and receive more love from them. We love to make the online cakes delivery in Mehsana and spread happiness in the form of this yummy delight. So, stay relaxed and order cakes online in Mehsana through Winni. Once you know that birthday, anniversary and New Year are approaching, choose to order the cake from our official website and overcome any excuse. 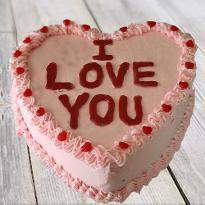 Even if you are unable to attend the occasion, your sweet gesture of cake will certainly convey your emotions. Make an online payment and deliver the cakes right on time by scheduling date. Products in this category have been rated 4.9 out of 5 based on 383 reviews.